Realty Group of San Diego (Formerly 411sandiegohomes.com) is a group of four talented ladies-Katie Dunahoo, June Kubli, Lydia Hwang Vosovic and Kathleen Williams-who are committed to making your real estate transaction a pleasure and a success. Let us exceed your expectations! Greice Lane graduated from San Diego State University with a degree in Entrepreneurship. She specializes in buyer representation, investment property, marketing, and is Katie's right hand gal. Cassandra D'Aiello is my Marketing Coordinator and excels in design, advertising, online and digital exposure. She ensures that my property marketing materials are exceptional and get more exposure and online attention than the competition. Travis Cass is my Digital Strategist and works on regional real estate marketing, with a focus on digital strategy and video marketing. With more and more buyers coming from outside the local area, Travis makes sure my listings are widely exposed in San Diego County, California, nationally, and globally. April Rice is my Office Administrator and assists in making my transactions run smoothly. 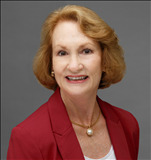 She is also in charge of listing and sale file organization and Bureau of Real Estate compliance.